Leading up to his first year of medical school at the George Washington University (GW) School of Medicine and Health Sciences (SMHS), David Agdashian, now a second-year MD student, had the opportunity to work at the Center for Cancer Research at the National Cancer Institute (NCI) in the lab of Tim F. Greten, MD. Recently, the research team, including Agdashian, published their study “Gut Microbiome-Mediated Bile Acid Metabolism Regulates Liver Cancer via NKT Cells” in the journal Science. For the study, the team sought to determine the mechanism present through which the microbiome and bile acid metabolism allowed for better control of liver tumors. “What made this study … really special is that it identified and specified in detail a complete mechanism by which a specific microbe in the gut influences the immune system,” Agdashian said. The team found that the mechanism uses bile acids as messengers to control accumulation of hepatic natural killer T-cells and antitumor immunity in the liver against both primary and metastatic liver tumors. These findings not only have possible implications for therapeutic cancer research, but also provide a link between the gut microbiome, its metabolites, and immune responses in the liver. Originally from Los Angeles, Agdashian came to Washington, D.C., to work in the NCI lab. While working in the Greten lab, Agdashian studied lab techniques such as flow cytometry, DNA/RNA isolation and sequencing, and polymerase chain reaction. For this project, he was responsible for running the polymerase chain reaction, a fairly standard lab technique used in molecular biology to amplify a single copy or a few of a segment of DNA across several orders of magnitude, potentially generating millions of copies of a particular sequence. Using this technique, he was looking to confirm gut colonization with certain microbes and see what the bile acid treatments did to gene expression. Agdashian also assisted with data analysis and worked alongside the team and the lead investigator, Chi Ma, PhD, to pull together all of the information for publication. Working in the lab and observing his colleagues bolstered Agdashian’s confidence as he began medical school. 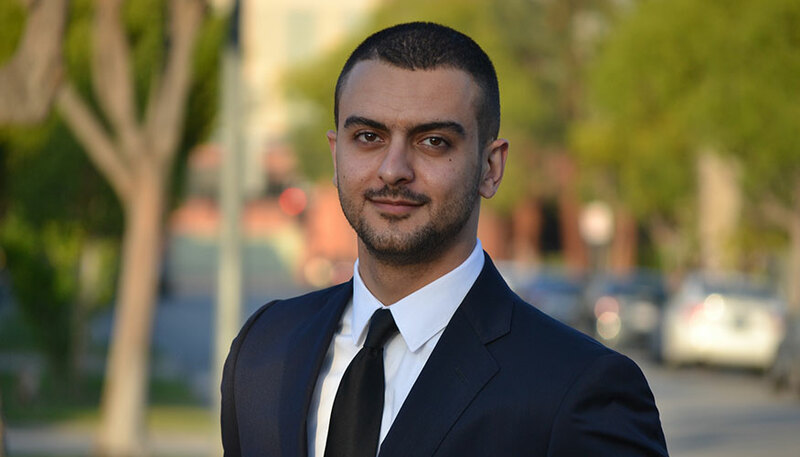 Now in his second year at SMHS, Agdashian looks forward to potentially returning to the NCI lab and continuing in therapeutic cancer research throughout his medical school years.